IMG_9990.JPG, originally uploaded by jodifurr. 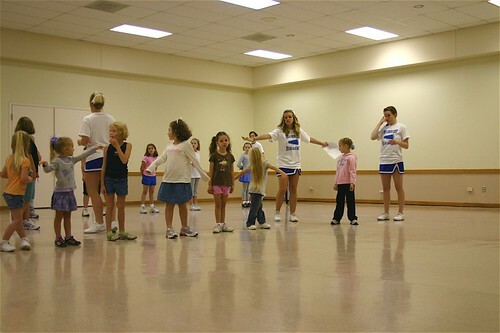 Peru State college had a cheer camp on a Saturday for 4 year olds through 12 year olds. After a morning of practice the kids were going to perform at the college game. Ani was excited to get to cheer again. So, off we go. She listened and did what they said, but she didn't want me to leave. Even with 4 year olds there, she was still one of the smallest!